Stir up some fun with Ganz Stir Crazy Heart Wooden Spoons. 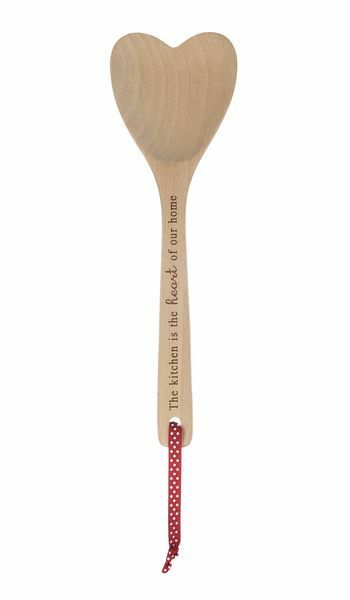 This spoon features a lazer-etched saying: "The kitchen is the heart of our home." Ganz Stir Crazy heart-shaped wooden spoons will make wonderful gifts for your family and friends. The spoons measure 12 inches and each has a red and white dot ribbon.